So this recipe is coming quite past the season of snow drifts and cozy scarves, but being a little behind is no excuse to ignore your veggies!! This is a hearty, flavorful stew filled with the good things that winter can grow. You can still get most of these veggies in our year-round grocery stores but you might want to summer-ize it by substituting potatoes or throwing in some nice colorful bell peppers. 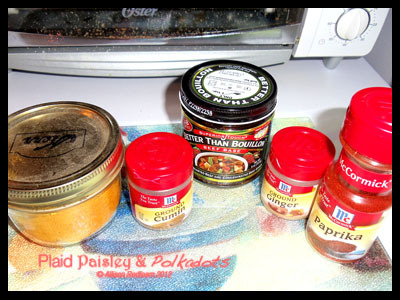 I love to make a big pot’o’tasty at the beginning of the week and package it into smaller containers to take for work lunches. It saves time, money, and it gives you an awesome mid-day vitamin boost. At the heart of this stew is really getting a chance to embrace some of those root veggies that are easy to pass up in the produce section: parsnips and turnips. 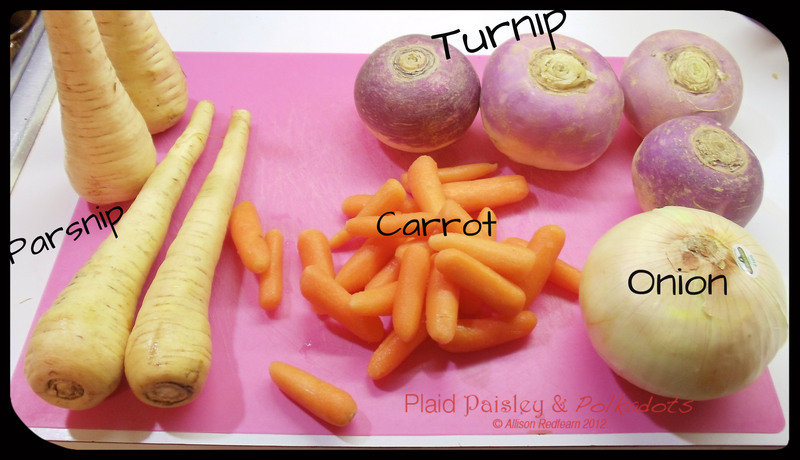 Both will cook down to a soft texture and the turnips will turn sweeter while the parsnips add a nice zest. Fill in the rest of the stew with the garden goods you have locally and this will be a great way to tailor the recipe to seasonal pickings. 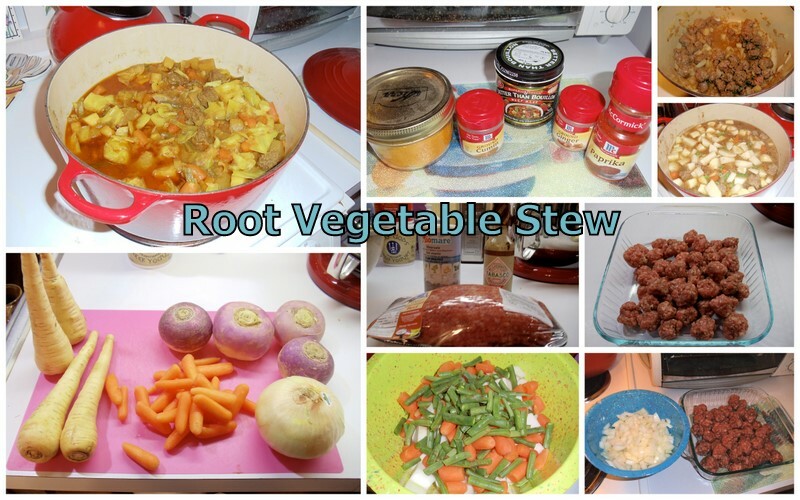 This is a “throw-together” kind of stew so don’t worry about exact measurements of the veggies and if you find yourself using a lot more or less then the measurements below just add the seasonings slowly to get a flavor that is good for you. My family are quite the carnivores so I have added the meatballs for them, but they can easily be taken out and replaced with beans for our vegetarian friends out there. The first thing I did was to make the meatballs and for these I like to make them as simple as possible. 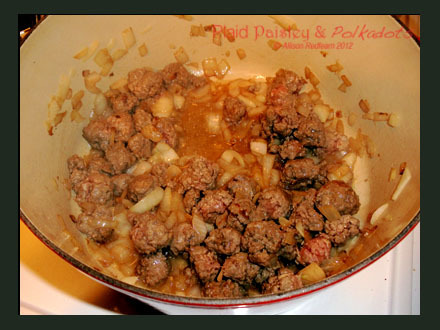 Take the ground beef and add your season salt and Worcestershire Sauce. My salt mix is this German stuff that I honestly don’t know what is in it unless I whipped out Google translate, so just use whatever you like your make your own by mixing salt, ground garlic, onion, and an herb mix. You just want to add a little something to bring out the flavor in the beef. Once you have it mixed together roll the mixture into spoon sized meatballs- this step is all about portion size, you want to make them small enough to fit on a spoon. Spoon sized!! Place in a bowl off to the side until you are ready to throw everything together. To prep the veggies, the parsnips, turnips, and carrots need to be peeled and cubed into, yes, SPOON SIZED pieces. Not only does this make stew eating far less awkward but also lets the hearty veggies cook quicker. The green beans and cabbage do not need pealing, but they do need a small chop. In a big bowl pile up the parsnips, turnips, carrots, and green beans because they will take the longest to cook, and the cabbage can sit off to the side to be added towards the end of the cooking. Dice the onion into cute little onion bits. Cooking: Drizzle your pan with the olive oil and add the diced onion, throw on a dash of salt to get the onion to sweat and saute for a few minutes. Add the meatballs right in and roll them around so they brown on all sides- they will cook all the way through during the whole process so right now it is all about adding that brown flavor. If you are using lean beef then you shouldn’t have much if any grease from the meatballs, but in case you have fattier meat or they just hate you, then you can spoon out some of the grease onto a paper napkin and toss in the trash (meat grease will clog your sink drain!). Add a couple of cups of water and bring it up to a boil, this will allow the bullion to dissolve easily. I *love* using Better than Bullion which is a bullion paste rather than a dried cube- you add as much as you want and it gives a nice flavor. Once the bullion is dissolved add the bowl of chopped veggies and enough water to cover, bring to a boil. Add the spices. SPICES!! This is the best part of the dish and a heavy hand will do you well because of the time it takes to cook the roots a light seasoning will wash out. 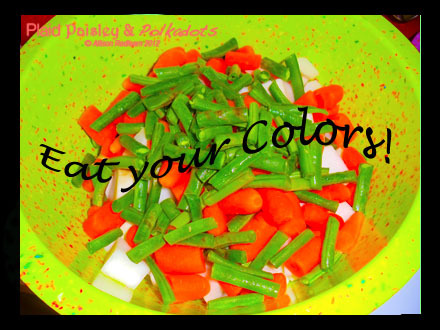 The turmeric will turn the stew a lovely yellow, so enjoy your colors! 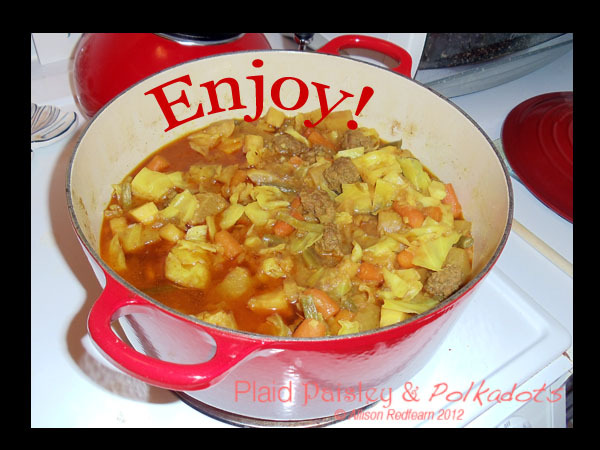 Simmer the stew for about 20 minutes and then top off with the cabbage and cook until tender. Ladle up and and enjoy!